﻿Michelle graduated from Mount Royal University with a Bachelor of Arts Degree. Michelle has extensive real estate experience and she is a Certified Condominium Specialist. She has comprehensive knowledge of the real estate market, infills, and the communities of Calgary and surrounding area. Michelle has considerable customer service, client focused and sales experience. 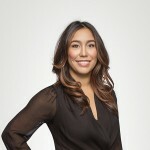 Michelle’s extensive marking techniques, positive problem solving and negotiation skills ensures successful real estate transactions. Michelle is committed to providing quality service and assisting clients with the purchase and sale of single family residences, infills, and condominiums in the Calgary area.